Kari Schmitt (OSU - 20) checks Meghan Dufault (UND - 19). 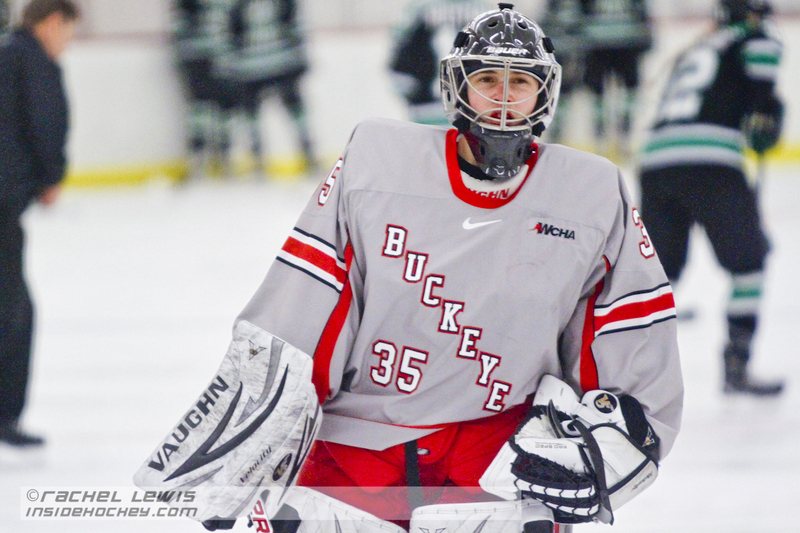 Selena Hunter (OSU - 35) recently joined the Ohio State Buckeyes in the winter semester. Shelby Amsley-Benzie (UND - 1) shuts out OSU 1-0. 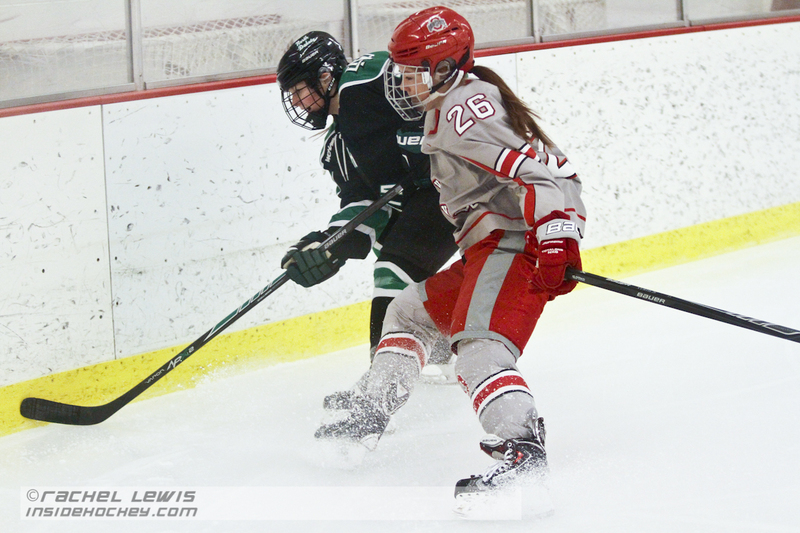 Jordan Hampton (UND - 7) keeps the puck away from Kendall Curtis (OSU - 26). Lauren Spring (OSU - 27) awaits the face off. 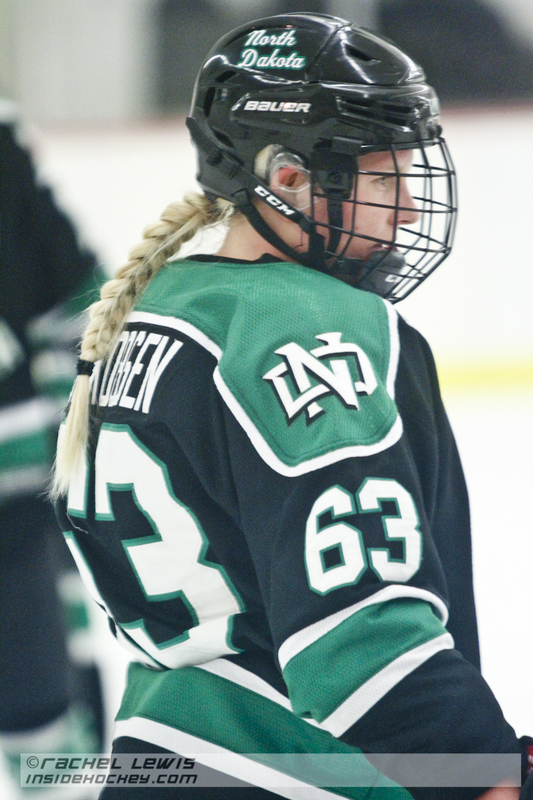 Josefine Jakobsen (UND - 63) awaits the face off. 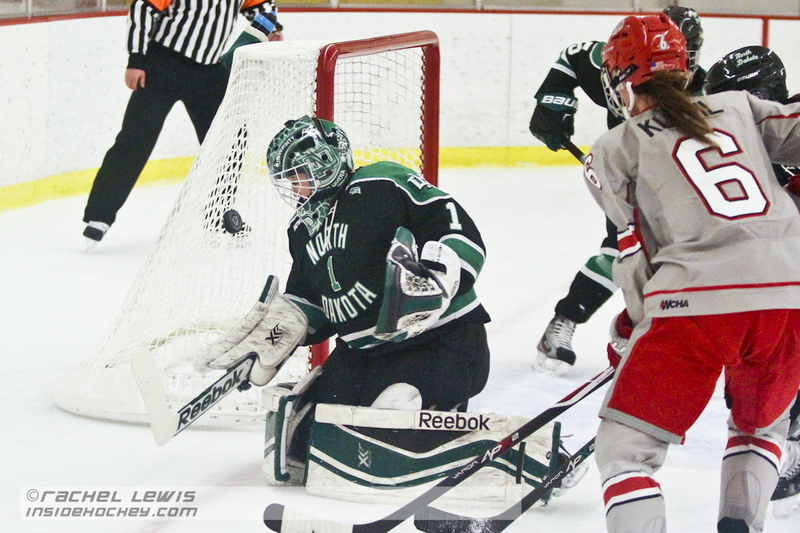 Shelby Amsley-Benzie (UND - 1) makes a save against Danielle Gagne (not pictured). 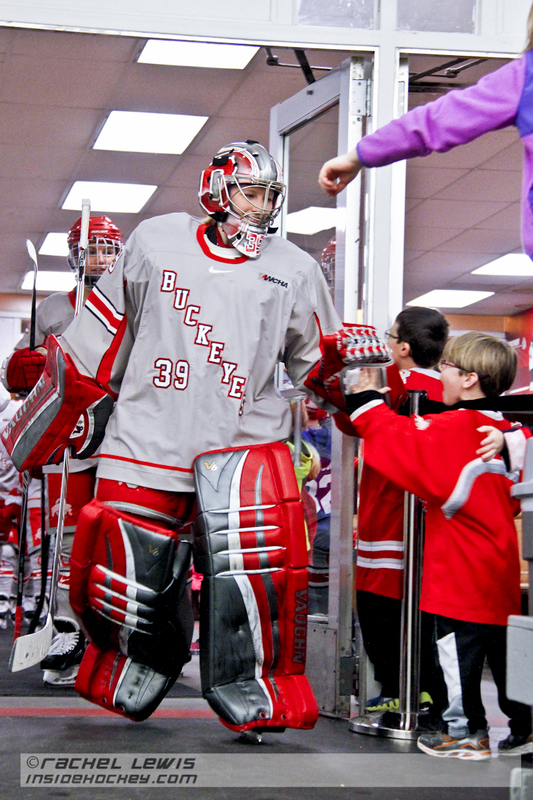 Stacy Danczak (OSU - 39) high fives young fans. Lauren Spring (OSU - 27) sprays Shelby Amsley-Benzie (UND - 1). Things get chippy between Tanja Eisenschmid (UND - 22) and Claudia Kepler (OSU - 24). Stacy Danczak (OSU - 39) awaits the face off. Selena Hunter (OSU – 35) recently joined the Ohio State Buckeyes in the winter semester. 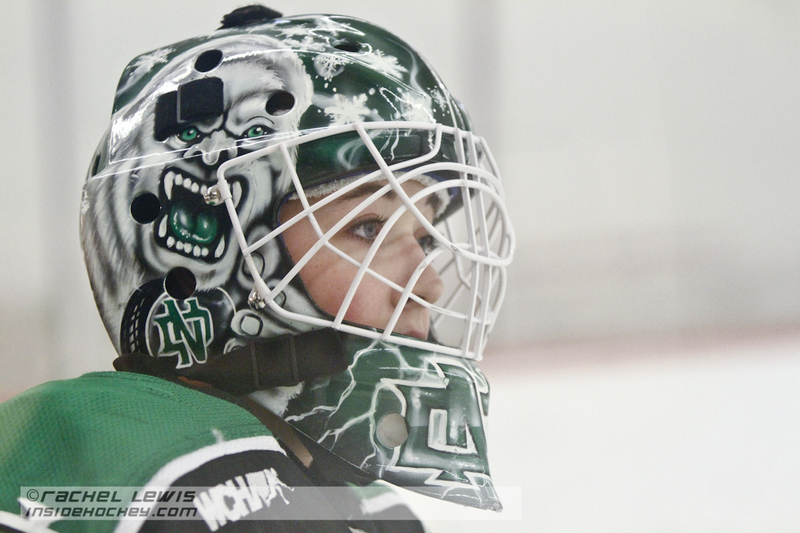 Shelby Amsley-Benzie (UND – 1) shuts out OSU 1-0. Jordan Hampton (UND – 7) keeps the puck away from Kendall Curtis (OSU – 26). 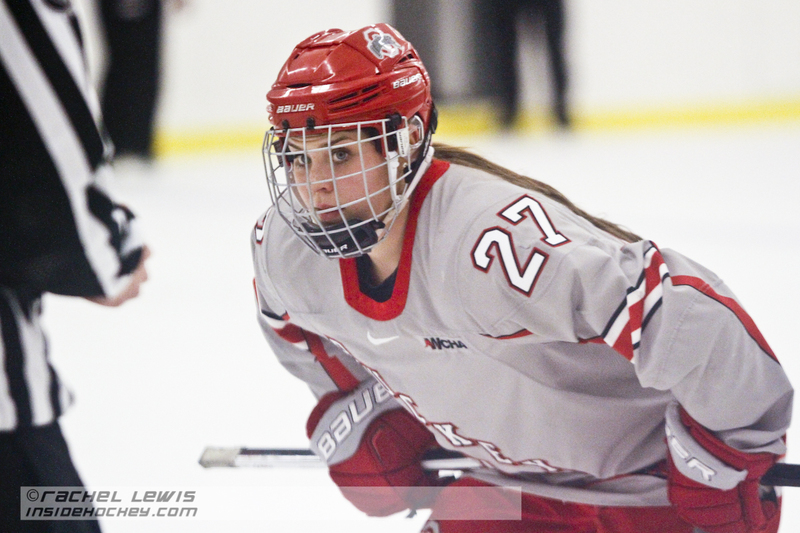 Lauren Spring (OSU – 27) awaits the face off. Josefine Jakobsen (UND – 63) awaits the face off. 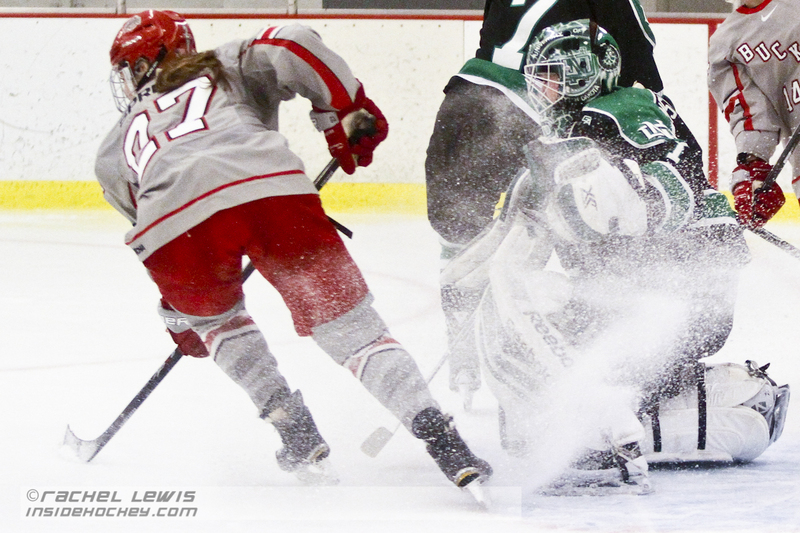 Shelby Amsley-Benzie (UND – 1) makes a save against Danielle Gagne (not pictured). Stacy Danczak (OSU – 39) high fives young fans. 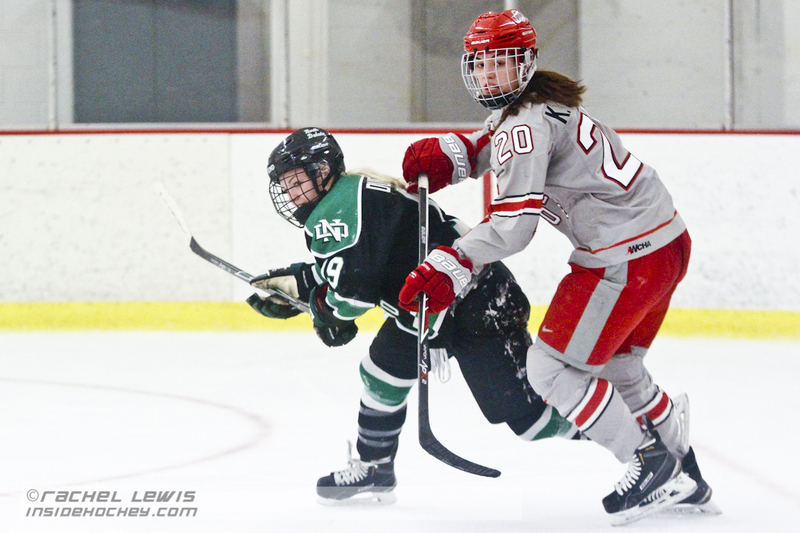 Lauren Spring (OSU – 27) sprays Shelby Amsley-Benzie (UND – 1). 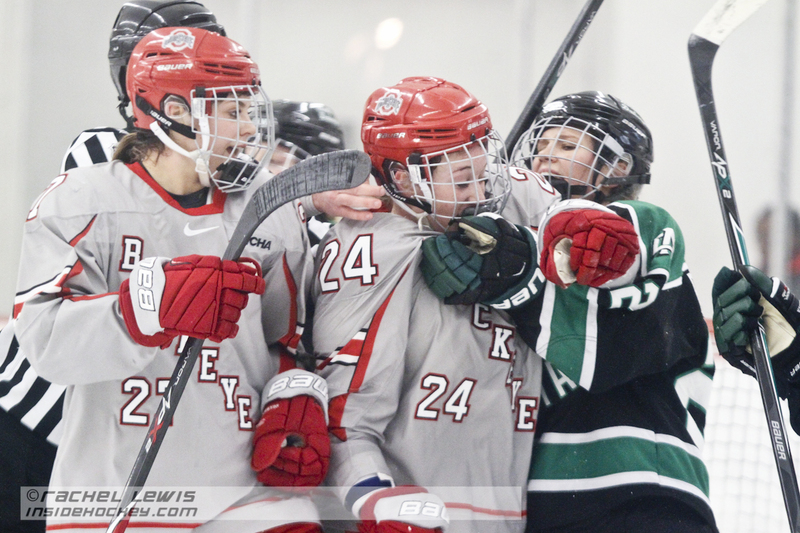 Things get chippy between Tanja Eisenschmid (UND – 22) and Claudia Kepler (OSU – 24). Stacy Danczak (OSU – 39) awaits the face off. Kari Schmitt (OSU – 20) checks Meghan Dufault (UND – 19). Is A New Rivalry Bruin With Columbus?